Hopefully the date of reopen will be decided soon. DREAMWORLD is set to reopen next week, with owners Ardent Leisure convening a board meeting to finalise plans to get the theme park back on line after the Thunder River Rapids ride disaster. The move to reopen the park following the October 25 tragedy that left four tourists dead comes as the Gold Coast City Council allocated $100,000 towards a summer tourism campaign to help the industry recover. Dreamworld has been closed since the tragedy, amid protracted investigations by police, State Government workplace health and safety inspectors and park-appointed international ride experts. The extended closure has cost the park about $10 million in lost revenue. Police completed their on-site investigation for the State Coroner and handed back the park to Ardent on November 7, but a Workplace Health and Safety Queensland probe has been ongoing as part of a Government audit of theme parks. Inspectors issued 10 breach notices to Dreamworld and sister park WhiteWater World, all related to worker safety. Inspectors returned to the park yesterday to check if the problems had been fixed. Industrial Relations Minister Grace Grace said that last Friday the park was “ready to move forward towards ­reopening”, but that “no ­amusement ride at Dreamworld will open unless it’s 100 per cent safe”. It’s believed Dreamworld is looking at a staged reopening, possibly starting on Monday. Ardent is expected to detail the reopening plan in a statement to the stock exchange ­before briefing media. The council contribution, meanwhile, will be matched dollar for dollar by the State Government. The pre-summer campaign will include advertising on television and radio in Brisbane, the Sunshine Coast and northern New South Wales and online content in Sydney, Melbourne, Adelaide, Perth and Brisbane. Gold Coast Tourism members will also offer holidays and deals. A coronial hearing into the tragedy that claimed the lives of NSW woman Cindy Low and Canberra trio Kate Goodchild, her brother Luke Dorsett and his partner Roozi Araghi is expected to be held next year. They're donating $25 for each guest. Seems kind of wrong. Would have thought they'd be donating 100% of all admission tickets and $25 for passholders over the re-opening weekend. "Over this charity weekend, Dreamworld will donate $25 for every guest and passholder through the door to the Australian Red Cross. These funds will be distributed to the families and those most affected by the tragedy through the GIVIT Appeal Independent Distribution Committee." No, $25 is probably the better way to go. Why do you think the steam train may not return? I think $25 is a good amount to donate from tickets, especially after the big loss financially this has had on the park. The original plan of donating all entry money was good at the time because the park was only closed for a couple of days, but now they have good reason to I think. The park didn't have to give anything so good on them for donating. $25 is very generous donation for passholders. Especially considering you can potentially go both days. Most would be on a season Pass costing roughly $100 (but sold for as low as $80. 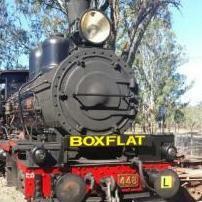 Unless there is a specific issue with the Baldwin, I'd expect to see it running again, otherwise every other heritage steam locomotive in Queensland would be stopped too. ARHS and QR are running their trips this weekend, QPSR next weekend so I don't think that will happen. You would expect all operations involving the public and any risks (even well mitigated risks) will come under closer scrutiny over the coming year or so. Going through the DWs maintenance page and there quite a few rides that say closed: BuzzSaw, hot wheels, MDMC, Train, escape from Madagascar, gingys flyer, mad jungle jam, RHLR, shock wave, dodgems, vintage cars, big red boat ride, tea cups, dronkys flyers, hop and hoot and the merry go round. Will be interesting to see if the maintenance page is updated for the park reopens, as that is quite a few rides, some I can't imagine why they'd remain close. Will interesting to see that it says GD, and TOT are open. I think as we get closer to the opening some of the rides will be opened. What would you do at DW if everything is closed? DW has also started replying to comments on Facebook again today. ^ They have already said kids/Dreamworks will be open. It is also 10 days away, who knows they may operate limited thrill rides. Very smart to give existing passholders an extra 6 months. Will be interesting to see the ticket options when they reopen. Edited November 30, 2016 by Jordan M.
I think that's a fair point, I've checked three times since they announced just in case anything new pops up and they have kept taking the open times off of some rides. Which is understandable due to their position to wait for the final sign off. Absolutely is amazing news though that they are reopening next weekend. Also noticed they removed all the maintenance from the page, would it be fair to assume all this time closed has allowed heaps of this to occur as well as these checks? I think the new pricing is up. Summer pass looks good. What is the difference between the summer pass and the annual pass. The summer pass is valid until 24 December, the annual pass is valid for 12 months from the date of the first visit? So I just hid the last post and gave the poster a ban. I'm not normally one for censorship but posting on parkz is a privilege not a right and I don't think heartless troll assholes deserve that privilege. I think $25 per entry is far more generous than 100% of ticket sales. 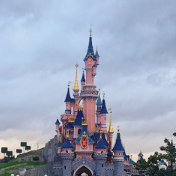 I'd suggest the vast majority of people flocking back to the park over those two days would be passholders who have been sitting in a corner in the foetal position shivering and sweating whilst waiting for it to return. I would suggest takings from actual ticket sales for that weekend would be minimal, whereas $25 for every passholder is really a way of dreamworld dipping into their own pocket as a donation, on the basis of the number of members who flock back. So for those who couldn't afford to make some sort of donation, or lay flowers, you can still 'contribute' to the ongoing expenses incurred by the families simply by walking through the gate. Dreamworld itself will benefit from this simply by being able to show images of people flocking back to the park, helping dispell the media myths that the park is inherently unsafe, and giving more people confidence that it is ok to return. Edit: i'm sorry I didn't see the post you're referring to Rappa - i'd have liked to have read it, but no doubt if it raised your ire so significantly that you took immediate action of that nature, i'm sure it was absolutely appalling. Well at this stage there is no indication that it is returning. It's a very safe engine but it does cost to run, with the financial loss the park has undertaken I hope they don't see the Baldwin as a liability. Time will tell. Did anyone else notice that this release came from Ardent Leisure, not Main event? Wonder if they're trying to keep the Main Event name untarnished? The response i think is a good one, while I think they do need to get a couple rides open, cutting ticket prices and adding in White Water World to the Dreamworld ticket price is probably what was needed right now, and it seemed like it was the long term plan anyway. Extending the passes by 6 months was also a good move, a lot of passes expire in December, and I can't imagine there is much desire out there to renew, but an extra 6 month so of healing and I think people will be more inclined to spend again. No mention of the train and the Baldwin though, do we think it will return? Will be interesting to see if the maintenance page is updated for the park reopens, as that is quite a few rides, some I can't imagine why they'd remain close. The Dreamworld attractions re-opening from 10 December include all WhiteWater World slides and pools along with the park’s wildlife areas, entertainment and family attractions in DreamWorks Experience, Wiggles World, ABC KIDS WORLD and the Motorsports Experience. Judging from that @T-bone, I think Dreamworld Express will continue to operate once it is signed off as safe. If it was not to return, I'm sure they would have announced it by now. The name doesn't officially change until the ASX has amended the company's registration. As of now, it is still Ardent Leisure.